Who’s ready for this? 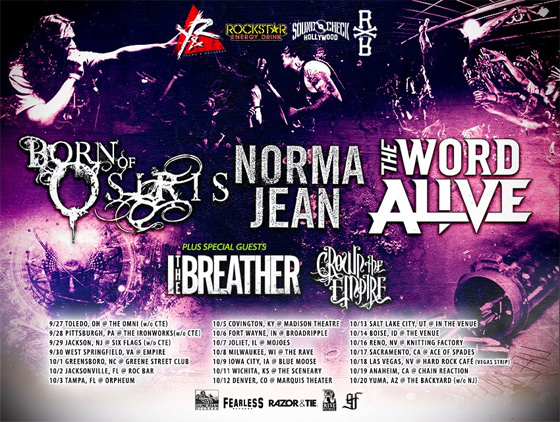 Born of Osiris are hitting the road with Norma Jean, The Word Alive, and label mates I The Breather. Should be a good one. And you won’t even need to show up early cause no one wants to see Capture the Crown. We have the tour poster with all the dates and some music for you guys. Also before that, at the end of this month, The Word Alive is gonna be touring with Like Moths to Flames and Upon A Burning Body. If you live in the northeast and you want to go, yet again we have the flyer for you. Happy moshing.